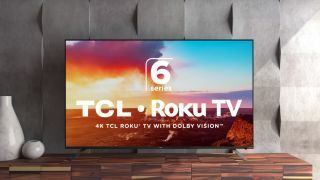 This year not only can you expect to see the 6-Series in more than one size (a 55- and a 65-inch model have been announced already) but, as it turns out, you can expect to see them sooner rather than later – TCL just announced that the 6-Series will be available to buy starting on May 1. The TVs, which first made their debut during CES 2018, made some waves by offering the same spectacular performance of last year’s models in addition to the all-new iPQ Engine that, according to TCL, allows for precision color performance, tailored to deliver accurate and optimized DCI-P3 color space coverage. The 6-Series screens will offer both standard HDR10 support plus Dolby Vision, but with the added bonus of HDR Pro Gamma control, a proprietary technology that works in tandem with the built-in control zones to improve contrast to unprecedented levels in a TCL screen. As long as they come in at a price that’s close to the 55P607 (around $649 at last check) TCL’s 6-Series might’ve been worth waiting for after all.